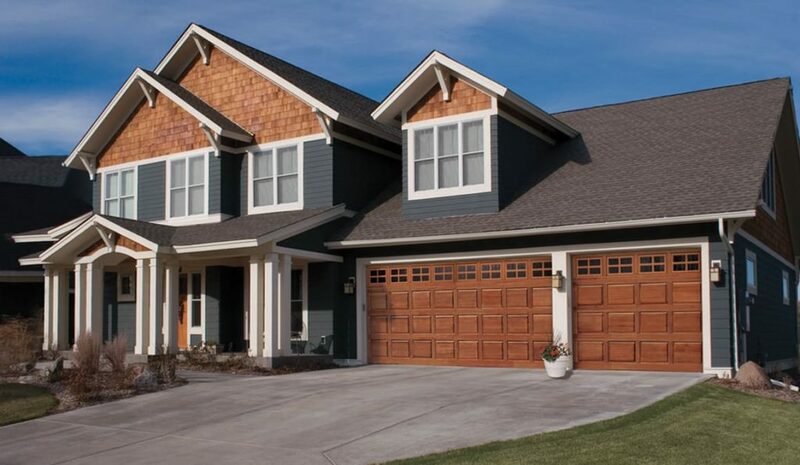 Owning a garage with a quality garage door system can make life so much more convenient. A garage door system is very complex and includes a lot moving parts. Problems arise from time to time even in high-end doors, which is why it helps to have an understanding of what to look for to determine if its time to call a professional residential garage door repair company like Ole and Lena’s. Unreliable or unresponsive garage door opener: Make sure the remote has fresh batteries and that the system has enough silicone-based lubricant for smooth movement. If you have to apply some, remember to wipe off excess. If the opener still doesn’t work, call an expert. In the meantime, you might be able to manually operate the door, but take care and always have help. More noise than usual: Excess noise from your garage door during opening and closing can come in several varieties like screeching, grinding or squeaking. A common cause is lack of lubrication on the parts that need it, like rollers and their tracks. Solve the issue by applying lubrication directly to whatever part seems to make the most noise. Cracks or gaps in the door or sealant: If your garage door is made of wood and the cracks are in the door itself, caulk them with a waterproof filler or sealant. If the weather sealants are cracked or broken — which happens naturally with age — find a replacement weather sealant at a local home improvement store or ask a reliable professional to remove the old one and install a new one. Unsmooth or incomplete movement: If your door has come off its hinges, you should call the experts. Garage doors weigh hundreds of pounds and could seriously injure someone. If your door opens without prompting immediately after closing, you could have a problem with the alignment of your photo-eyes. Make sure the small plastic devices on each side of the door align with one another. One loud bang: While this issue could be a broken cable, the most common explanation is a snapped spring. Another symptom is the door slamming shut. Whether it’s a torsion or extension spring, the solution is a little more complicated with this problem. Springs pack tremendous pressure, which means you could cause damage or injury trying to fix or replace them without experience. Again, call a professional at Ole and Lena’s. If you’re not exactly sure what’s wrong with your garage door, the solution you try doesn’t work, or you know it’s a problem a professional should look at for your safety, choose Ole and Lena’s. The convenience and safety of our customers is our top priority, which is why we’re available 24/7/365 to solve any issues you have. Contact us today to get your door back up and running.